‘Surrounded by Beaches and Mount Athos’ Eagles Palace is situated just four kilometres from Ouranoupolis, one of the most scenic villages in Greece. It lies on a glorious stretch of private golden beach in the shadow of Mount Athos occupying one of the most sought after locations on the coast. There is a wide choice of activities including water sports, cycling, indoor and outdoor pools, tennis and on-site there is a spa and gym. For children, there is an outdoor pool, playground and kid’s clubs. Accommodations include rooms, bungalows and suites, many of which feature private terraces and pools. You’ll find bars and clubs offering live music and traditional Greek restaurants serving fresh, local seafood. 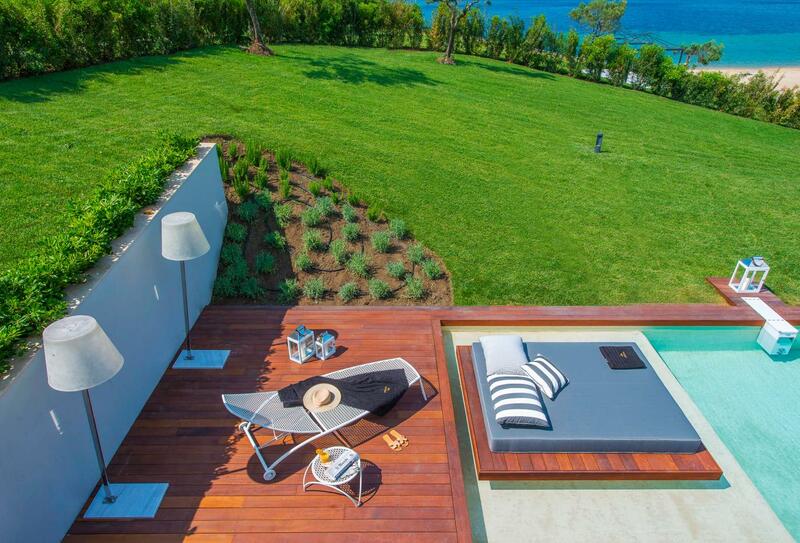 ‘Beach Location – Activities for Everyone’ Set in 22 acres of landscaped gardens and adjacent to a private sandy beach, Ikos Olivia is situated on the south coast of Halkidiki. The rooms and suites have access to outdoor seating areas overlooking the gardens or sea. 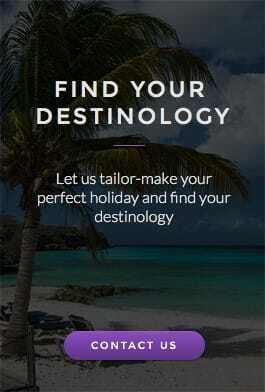 The private beach has sun-beds, umbrellas and all-day waiter services and activities include windsurfing, volleyball, tennis, badminton and yoga. In the resort, there are four pools (including a paddling pool for children), a fitness centre and spa. There are 6 restaurants serving local and international cuisine and 6 bars, pool or beachfront. Evening entertainment and live music takes place every night at venues across Ikos Olivia. 'Private Beach, Land and Water Activities, Helicopter Rides’ Avaton Luxury Villas Resort overlooks Komitsa Bay in Athos Peninsula, Halkidiki, and features a private beach. The nearby area has water sports, excursions, helicopter rides, culinary tours, sailing and more. A variety of two-bedroom villas are located within Mediterranean gardens and open out to a furnished patio or terrace and some have a private pool with a built-in sunbed. Breakfast is provided at the Avaton Restaurant, and it also offers local Greek cuisine, fresh seafood and international cuisine. 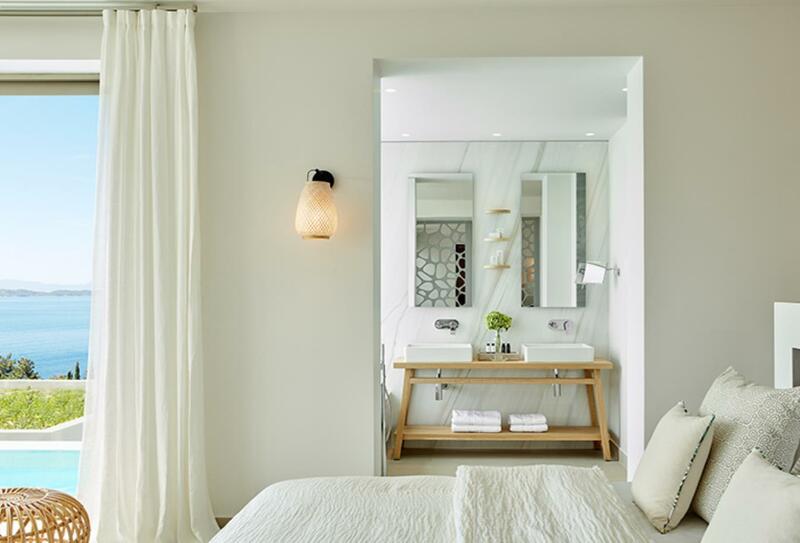 ‘Luxury Facilities and Desirable Suites in Abundance’ Sat on the sandy beach of Paliourion, on the south-west coast of Kassandra, Miraggio Thermal Spa Resort sits on a prominent position overlooking the Aegean Sea. Well-appointed rooms and suites feature elegant furnishings, some with private pools and all feature a balcony or terrace. 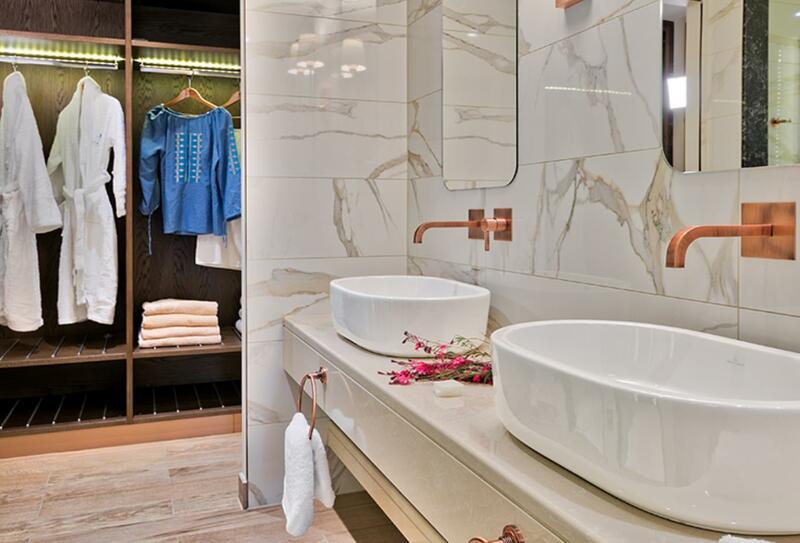 Each room type is decorated in traditional Mediterranean fashion, with a light and airy open-plan scheme. Three swimming pools are dotted around the resort, the biggest of which offers a sea water Jacuzzi, water jets and water curtains. Another pool is adults only, while the last is for children, who are also catered for with three levels of kids clubs and a range of activities to keep them occupied. Six bars and 3 restaurants provide a wealth of dining and social opportunities, the most tempting of which is the beach bar and the pool bar with their selection of cocktails close to water and sand. 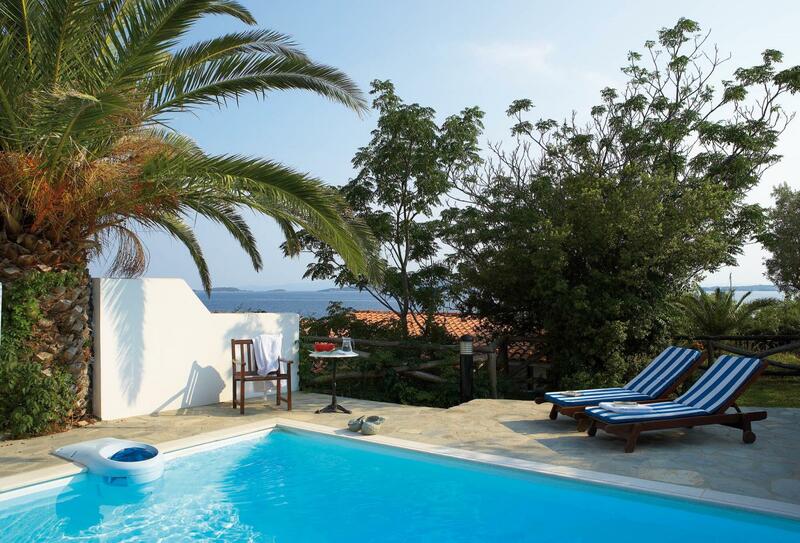 ‘All-Private Pool Villas, Gardens, Spa, Private Beach’ Eagles Villas is set amongst Mediterranean gardens next to the Eagles Palace Resort in the village of Ouranoupolis. 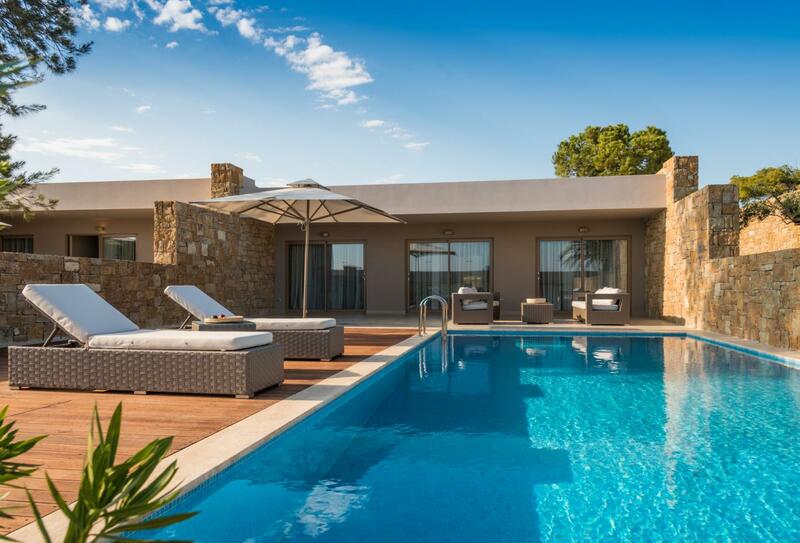 The hotel is a collection of 40 luxury villas, all with a private pool and other modern, helpful amenities, such as a kitchen, indoor and outdoor living spaces and some have a private garden. As part of the Eagles Palace Resort, Eagles Villas’ guests have access to numerous facilities, including the spa, private beach, water sports and restaurants.